Laminate flooring offers the look of hardwood or stone flooring, but without the expense and required maintenance. Usually made from high-density fiber or wood particles, the flooring is topped with a laminate overlay that is designed to look like wood or stone. Then, a second clear, hard layer is placed on top of the overlay, giving the laminate its durability. Laminate flooring has become a popular way to update the look of a home. Laminate flooring is cheaper and easier to install than hardwood flooring. Prices range from about $1.50 per sq. ft. to $3 per sq. ft, but you can find better deals from wholesalers and online distributors. Laminate flooring can be placed on top of almost any existing floor, excluding carpet, and several manufacturers offer a glue-free, tongue-and-groove system. The interlocking planks make it an easy installation for weekend warriors, and it can be uninstalled without damaging the laminate or the original flooring underneath. Laminate flooring works well in high-traffic areas and homes with pets. It is scratch-resistant, durable and easy to clean. Just use a dust mop or a mop dampened with water. Plus, most manufacturers offer at least a 10-year warranty on their product. Laminate flooring can add to the resale value of your home. Most home buyers are looking for hardwood floors instead of carpet. Laminate gives you a wood look for less and can make your home look more open and modern. It also is environmentally friendly because it uses less wood – if any – in its construction. Laminate flooring does not absorb sound well and can have a hollow sound when you walk on it, particularly in high heels. Using an acoustic underlay will help reduce the noise, but it still may be a nuisance. Laminate also lacks the visual warmth of other materials, including hardwood. Although laminate floors will increase a home’s value compared to wall-to-wall carpeting, hardwood floors will increase it even more. Buyers generally can tell the difference between laminate and hardwood or stone, and they prefer natural materials. Another drawback is that the look of the flooring is set by the manufacturer. Color and sheen cannot be customized, so choices are limited, and a buyer may not like your selection. Hardwood floors can be sanded and re-stained. The materials in laminate flooring are moisture resistant, but the floors can warp in high-moisture areas. There is a debate over whether it should be installed in kitchens and bathrooms or other rooms that are exposed to heavy water or steam. Most manufacturers warn that laminate flooring will be damaged by standing pools of water. 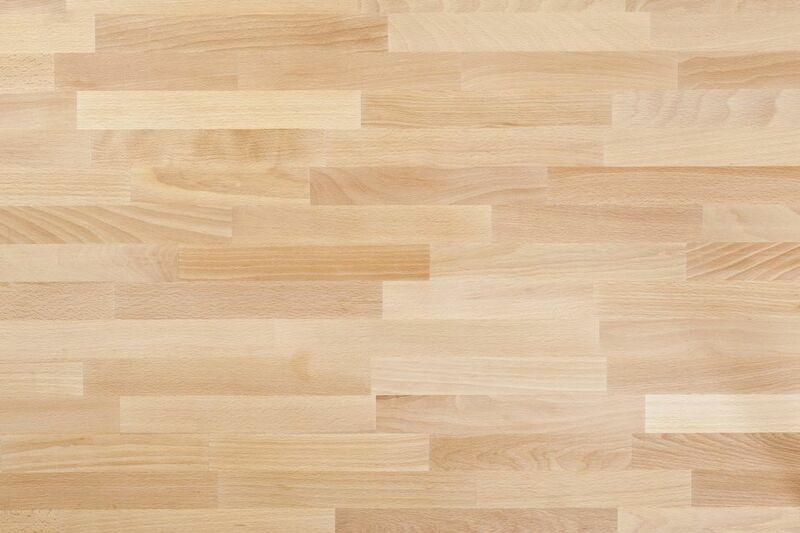 It is true of other materials as well, but hardwood floors may be able to be sanded and refinished. Laminate floors would have to be replaced. The material is still relatively new, so it isn’t clear how this type of flooring will hold up over time. Homeowners thinking about buying laminate floors should visit a few stores before making a decision. Talk with a store associate and research the different manufacturers. Some companies use different materials or construction methods. Price is not always reflective of the quality of flooring. Taking into account the total price of the flooring project is also prudent, according to the World Floor Covering Association. Additional costs can come from such items as furniture removal and replacement, demolition and disposal of the previous floor covering, subfloor preparation and product delivery. Professional Laminate Floor Installations - DIY or Hire a Pro?